Now that my youngest son Sailor is almost 2, I've been thinking about how to redecorate his bedroom as it won't be long before he comes out of his cot and moves into a toddler bed. His big brothers were both in toddler beds quite early - Tyne at 19 months and Noah the week before he turned 2 - so I don't think Sailor will be too far behind them. His bedroom is currently very neutral with beige striped wallpaper, and I fancy a bit of a change...so of course I've been taking to Pinterest for inspiration and I thought I'd share what I've found. 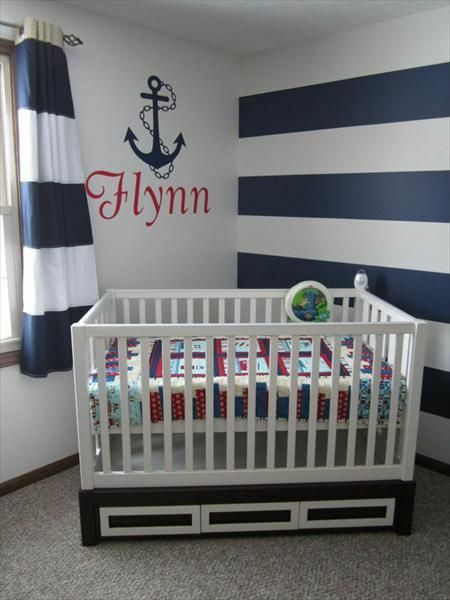 Considering his name, a Sailor themed nursery was my first thought and there are some excellent ideas on Pinterest! I love the colour combination of navy & white and a name decal is always high on my list when it comes to bedroom ideas...although for some reason none of the boys have them yet, I need to fix that! 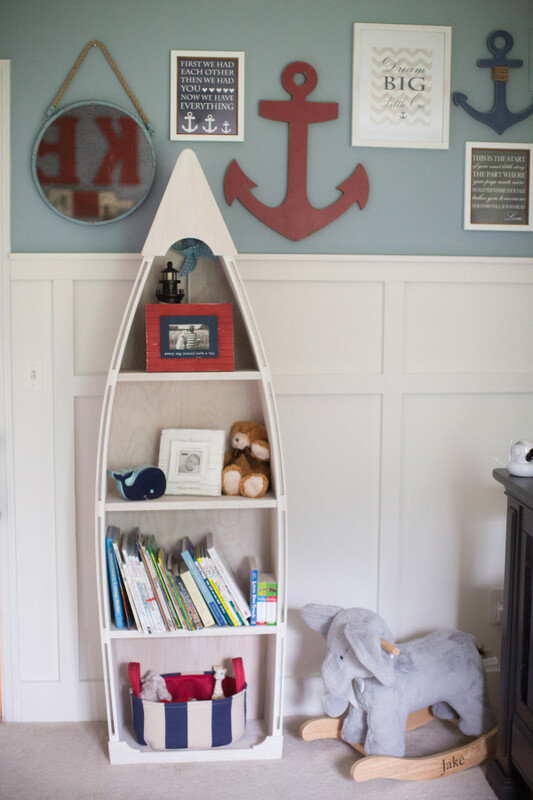 I absolutely love the idea of using having a bookshelf shaped as a boat too - it is just genius! The anchors on the wall are a lovely touch too. As huge Disney fans, I'd really like to embrace some Disney theming into one of the boys rooms and Sailor seems to love it too so I think he's the perfect candidate. I love the idea of going with a classic Disney movie such as Bambi or Peter Pan to theme with as the colours are understated and would work well with a lot of the beige and wood items already in his bedroom, so there wouldn't need to be a huge overall which is always preferable isn't it. 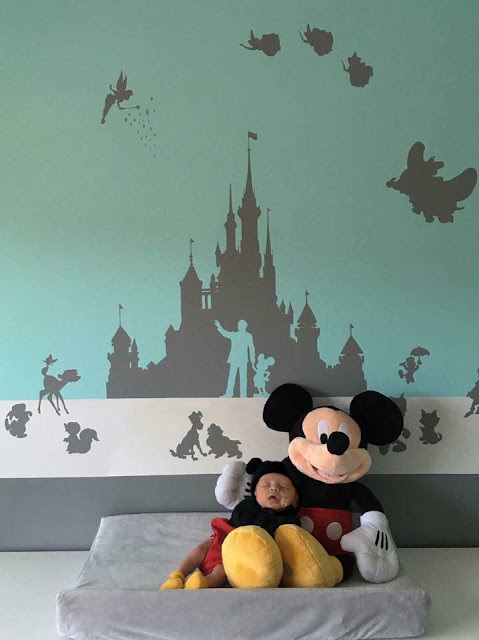 I'm not too keen on garish character wall papers or curtain prints personally, instead I'd rather theme the room using more discreet wall stickers...this castle one is a favourite of mine as I love the silhouette of Walt & Mickey in the centre. 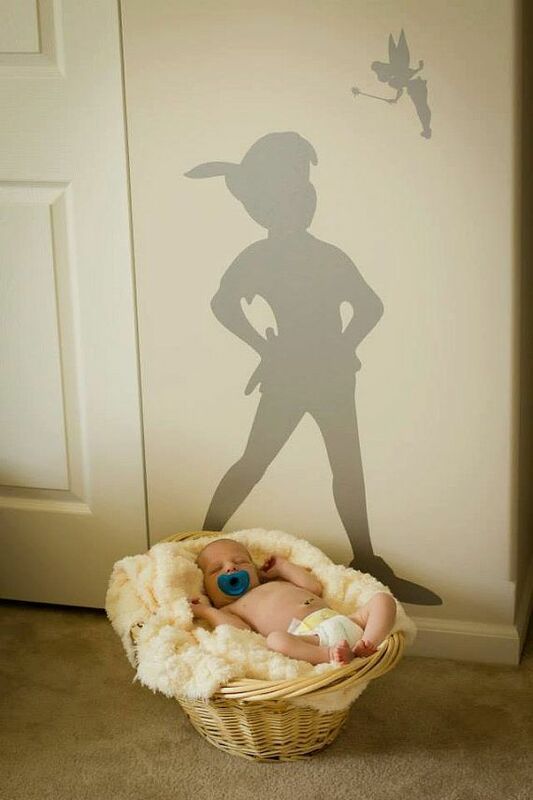 I also love the Peter Pan and Tinkerbell shadow ones below - a definite contender! I've been looking at the Disney themed blinds from Veluxshop lately which are really lovely too, Velux blinds are tailored to the shape and size of each individual window for a perfect fit and they're blackout too which is perfect to help keep the little ones sleeping on the light mornings! 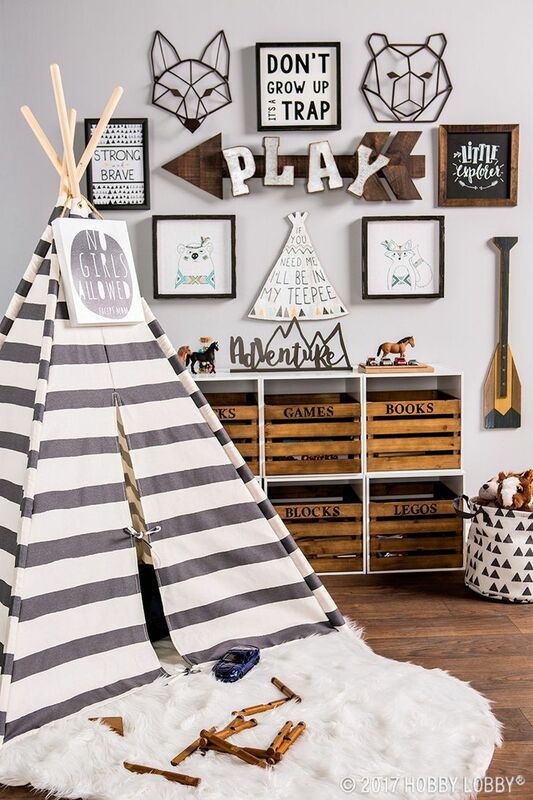 And my final design crush has to be monochrome - I've always said I'm not a fan of monochrome design for childrens bedrooms but lately I've been seeing a lot more fun brought into the look with some funky prints and I think the inclusion of things like a teepee really help to make the room look homely and child friendly despite the lack of primary colours. I love how light, bright and fresh the rooms look but I think the monochrome option is probably the lowest on my list...I love it, I'm just not 100% sure it's right for my little ones or what they'd choose themselves. Where did you look for bedroom inspiration? I'd love to hear any ideas you have!